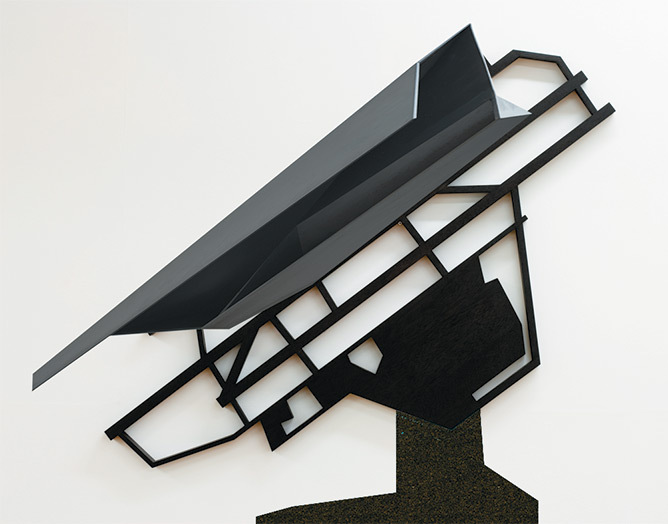 The work is a sculptural translation of an airport runway plan viewed from an aerial perspective. Runways identify places appearing as inscribed motifs in the land's surface, the form of each scheme varies dramatically depending on a range of conditions such as topography, wind orientation and a cultural organisation of place. The folding form is an expression of multiple layers of existence in time and in place as theorist Deleuze discusses. A complementary of multiplicity resonates with airports as portals that connect distant places simultaneously.